Airdrie & Shotts MP Neil Gray. Pic: Anthony Upton 2016�. Airdrie and Shotts MP Neil Gray has written to North Lanarkshire Council to complain about the new bin collection scheme. Mr Gray is upset by both the refusal of the administration to allow a discussion on the new scheme as well as the introduction of the scheme itself. He said: “With several households still waiting for their bins to be emptied and many more without the proper bags to dispose of food, the new scheme appears to be more trouble than it might be worth. At a full meeting of the council earlier this month a request by SNP Group leader David Stocks to suspended standing orders was rejected by Labour and Conservative councillors. Mr Gray has asked for an explanation of what went wrong in introducing the scheme from council chief executive Paul Jukes and, more worryingly, why was a discussion on it not allowed. He said: “This change has been a nonsense from the day it was first mooted. It has done nothing to endear the council to the folk of North Lanarkshire. “From the leader of the council stating that there would be no changes to bin collections if Labour were returned in May to the decision by the Labour/Tory ‘alliance’ to renege on that pledge and ignore the public outcry about the change to this latest shambolic roll out, the whole thing has left people angry and confused. 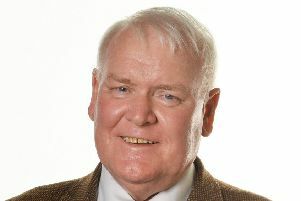 “It is time that my constituents and indeed everyone living in North Lanarkshire were given answers to why it did not run as smoothly as the council claimed it would. “To have three and sometimes four bins per household sitting at the roadside for days until they were emptied – if they even have been emptied – is ridiculous. Meanwhile, the council has apologised for a lack of the new biodegradable food bags being sent out to householders and is making new deliveries this week. A spokesperson said: “We contracted two companies to deliver the new biodegradable food waste bags to households, most of which have been completed on schedule. “However, we are now aware that some areas have not yet received the liners, and we apologise for this inconvenience.